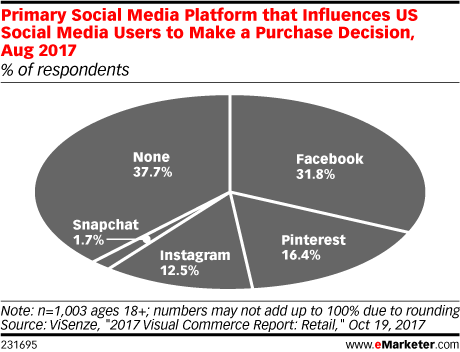 Data is from the October 2017 ViSenze "2017 Visual Commerce Report: Retail." More than 1,000 US social media users ages 18+ were surveyed online via SurveyMonkey in August 2017. ViSenze powers visual commerce at scale for retailers and publishers.